My research interests include adult and child (morpho-)syntax; role of optimization in formal models of variation; optimality Theory in syntax and acquisition of syntax; models of the interfaces: Mappings between lexical semantics and syntax, syntax and prosody, and information structure and syntax; cross-linguistic variation in syntax and morphology (with a particular focus on clitics and related topics in French, Romance, and Balkan languages); and general cognitive architecture underlying the language faculty. Gonzalez-Gomez, N, Hsin, L, Barrière, I, Nazzi, T, & Legendre, G. 2017. Agarra, agarran: Evidence of Early Comprehension of Subject-Verb Agreement in Spanish. Journal of Experimental Child Psychology 160, 33-49. Legendre, G. 2017. Auxiliaries. In A. Dufter & E. Stark (eds.). 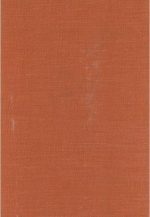 Manual of Romance Morphosyntax and Syntax (Vol 17). De Gruyter Mouton, 272-298. Buerkin-Pontrelli, A., J. Culbertson, G. Legendre, & T. Nazzi. 2017. Competing Models of Liaison Acquisition: Evidence from corpus and experimental data. Language 93:1, 189-219. Putnam, M, Legendre, G, & Smolensky, P. 2017. How constrained is language mixing in bi- and uni-modal production? Linguistic Approaches to Bilingualism, 6 (6), 812-816. Invited commentary. Culbertson, J., E. Koulagina, N. Gonzalez-Gomez, G. Legendre, & T. Nazzi. 2016. Developing knowledge of non-adjacent dependencies. Developmental Psychology, 52:12, 2174-83. 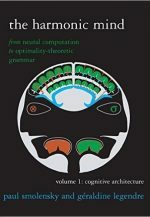 Barrière, I., Goyet, L., Kresh, S., Legendre, G., & Nazzi, T. 2016. Uncovering Productive Morpho-syntax in French-learning Toddlers: A Multi-Dimensional Methodology Perspective. Journal of Child Language, 43:05, 1131-1157. Legendre, G., Smolensky, P., & Culbertson, J. 2016. Blocking effects at the lexicon/semantics interface and bi-directional optimization in French. In G. Legendre, M. Putnam, de Swart, & E. Zaroukian (Eds. 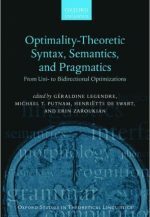 ), Optimality-theoretic syntax, semantics, and pragmatics: From uni- to bidirectional optimization. Oxford University Press, 276-299. Legendre, G., Putnam, M., de Swart, H., & Zaroukian, E. 2016. Introduction. In G. Legendre, M. Putnam, de Swart, & E. Zaroukian (Eds. 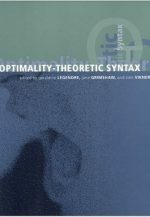 ), Optimality-theoretic syntax, semantics, and pragmatics: From uni- to bidirectional optimization. Oxford University Press, 1-31. Gonzalez-Gomez, N., L. Hsin, J. Culbertson, I., Barrière, T. Nazzi, & G. Legendre. 2014. Revealing Early Comprehension of Subject-Verb Agreement in Spanish. BUCLD 38 Proceedings (Vol. 1). Cascadilla Press, 158-170. Legendre, G., J. Culbertson, E. Zaroukian, L. Hsin, I. Barrière, & T. Nazzi. 2014. Is children’s comprehension of subject-verb agreement universally late? Comparative evidence from French, English, and Spanish. Lingua 144. 21-39. Culbertson, J. & Legendre, G. 2013. Prefixal agreement and impersonal il in Spoken French: Experimental evidence. Journal of French Language Studies, 24. 1-23. Culbertson, J., P. Smolensky, and G. Legendre. 2013. Testing Greenberg’s Universal 18 using the Mixture Shift Paradigm for artificial language learning. In S. Kan, C. Moore-Cantwell, and R. Staubs (eds. ), Proceedings of the North East Linguistic Society 40 (2010), pp. 133−146. Hsin, L., Legendre, G., & Omaki, A. 2013. Priming Cross-Linguistic Interference in Spanish-English Bilingual Children. BUCLD 37 Proceedings (Vol. 1), Cascadilla Press, 165-177. Rissman, L., Legendre, G., & Landau, B. 2013. Abstract morphosyntax in two and three-year- old children: evidence from priming. Language Learning and Development, 9(3), 278-292. Culbertson, J., Smolensky, P., & Legendre, G. 2012. Learning biases predict a word order universal. Cognition, 122:306–329. Legendre, G. & P. Smolensky. On the asymmetrical difficulty of acquiring person reference with personal pronouns: From unidirectional to bidirectional OT. Journal of Logic, Language, and Information, 21:7-30. Culbertson, J and G. Legendre. 2011. Investigating the evolution of agreement systems using an artificial language learning paradigm. Proceedings of the 39th Western Conference on Linguistics (WECOL). Bailey, D. & Teliga, V. (eds.). California State University Fresno, Vol. 1, p. 46-58. Legendre, G., I. Barrière, L. Goyet, & T. 2011. On the acquisition of implicated presuppositions: Evidence from French personal pronouns. 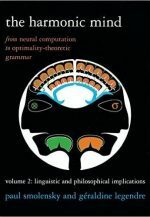 Selected Proceedings of the 4th Conference on Generative Approaches to Language Acquisition North America (GALANA 2010). Cascadilla Press. 150-162. Nazzi, T, Barrière, I, Goyet, L., Kresh, S. Culbertson, J., & Legendre, G. 2011. Tracking irregular morpho-phonological dependencies in natural language: Evidence from the acquisition of subject-verb agreement in French. Cognition, 120, 119-135. Legendre, G. & M. Schindler. 2010. Code Switching in Urban Wolof: A Case for Violable Constraints in Syntax. Revista Virtual de Estudos da Linguagem (ReVEL), 8:4 (Special Issue on Optimality Theoretic Syntax). Legendre, G., I. Barrière, L. Goyet, & T. Nazzi. 2010. Comprehension of infrequent subject-verb agreement forms: Evidence from French-learning children. Child Development. 81:6, 1859–1875. Legendre, G. & A. Sorace. 2010. 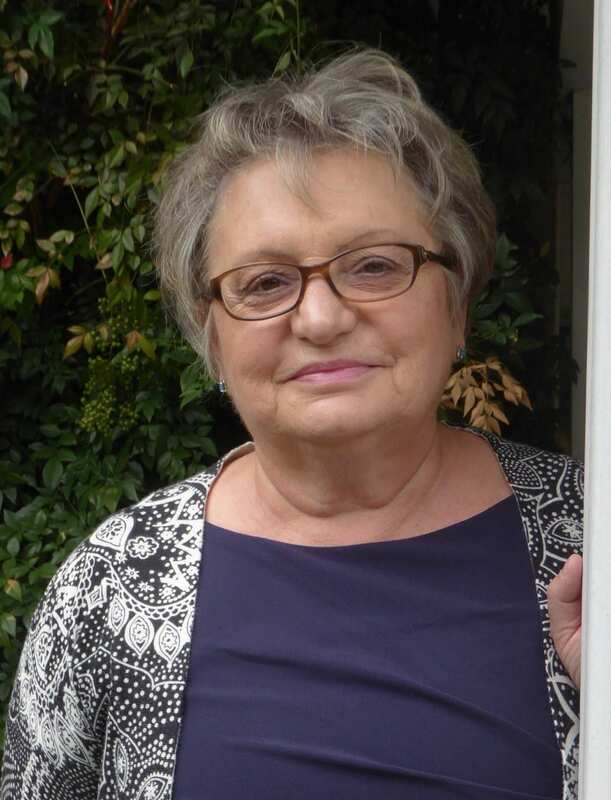 Auxiliaries and Intransitivity in French and in Romance. In D. Godard (Ed.) Fundamental Issues in the Romance languages. CSLI Publications. 171-220. Invited contribution. Legendre, G., J. Culbertson, I. Barriere, T. Nazzi, & L. Goyet. 2010. Experimental and empirical evidence for the status and acquisition of subject clitics and agreement marking in adult and child Spoken French. In Torrens, V., Escobar, L., Gavarro, A., J. Gutierrez (Eds.) Movement and Clitics: Adult and Child Grammar. Newcastle: Cambridge Scholars Publishing. 333-360. Legendre, G, Goyet, L., Barriere, I., Kresh, S., & Nazzi, T. 2010. Sensitivity to Irregular French Subject-Verb Agreement at 18 Months: Evidence from the Head Turn preference Procedure. In Katie Franich, Kate M. Iserman, and Lauren L. Keil (Eds. ), Proceedings of the 34th annual Boston University Conference on Language Development, 257-268, Cascadilla Press. Legendre, G. 2010. A Formal Typology of Person-Based Auxiliary Selection in Italo-Romance. In R. D’Alessandro, A. Ledgeway, and I. Robert, (Eds.) Syntactic Variation: The dialects of Italy. Cambridge University Press. 186-200. Legendre, G. and P. Smolensky. 2010. French inchoatives and the Unaccusativity Hypothesis. In D. Gerdts, J. Moore, and M. Polinsky (Eds.). Hypothesis A/Hypothesis B: Linguistic Explorations in Honor of David M. Perlmutter. MIT Press, 229-246. Invited contribution. Legendre, G. 2009. The Neutralization Approach to Ineffability in Syntax. In C. Rice & S. Blaho (Eds.) Modeling Ungrammaticality in Optimality Theory. Equinox. 237-266. Invited contribution. Legendre, 2007. On the Typology of Auxiliary Selection. Lingua 117:9, 1522-1540. February 1994	, Garland Publishing Co.